Even the fortunate are not immune to life's reversals, be they financial, personal or legal. Successful lives can be disrupted by sudden fluctuations that leave us feeling displaced. These are the moments we most need a concerned advocate we can trust. With 18 years of experience, Ron Champoux is a knowledgeable lawyer, ready to assist with a variety of important legal issues: -Assistance in Family Law Disputes -Help with your Divorce -Planning your Living Trust and Estate Documents Guiding clients through difficult transitions: The only thing constant in life is change. Some changes are inherently hopeful, such as a wedding or the birth of a child. Others, like the dissolution of a marriage or end-of-life planning, challenge us at a deeper level. Yet, these moments present opportunities. As an experienced and skilled lawyer, Ron Champoux works to help you navigate the turbulence of the present toward a more secure future. A pragmatic approach to emotional issues: During a dissolution of marriage, every consideration - from the disposition of property to the custody of children - is fraught with emotion. Moreover, parties to divorce are under possibly the greatest emotional distress of their lives, making even the most sophisticated client vulnerable. While no lawyer can deliver a divorce that is entirely painless, a sensitive family lawyer can mitigate the damage by separating the emotional from the legal and setting realistic goals. Ron listens to your concerns, helps you objectively weigh the merits of your case and select a strategy calculated to deliver the best outcome. Our office provides professional advocacy, working efficiently with an eye toward mitigating your expenses. Your legacy secured: The greatest satisfaction from a life of labor comes from knowing that your efforts have made your loved ones secure. Yet in these turbulent economic times, safeguarding your legacy to your children and grandchildren poses acute challenges. A knowledgeable estate planning attorney can protect your wealth to the advantage of your beneficiaries. Whether you are anticipating the joys of adoption or experiencing the frustrations of marital conflict, the Law Offices of Ronald E. Champoux can help. Ron Champoux is an experienced lawyer, serving families in Marin County for 18 years, and providing legal services in a wide spectrum of areas: -Adoption -Alimony -Child custody and visitation -Child support -Child support modification -Divorce -Juvenile delinquency and dependency proceedings -Mediation -Prenuptial agreements Adoption: Ron Champoux assists families with all aspects of international and domestic adoptions. Mr. Champoux handles the legalities of your adoption, so you can concentrate on your new family. Alimony: Divorce should not lead to financial a crisis. Ron Champoux will help you establish an equitable amount of spousal support. Child Custody and Visitation: Ron Champoux will protect your parental rights to raise your children in a fit and supportive home. Child Support, Modification and Enforcement: Ron Champoux can ensure you receive or pay an equitable amount of the financial support required to raise your children in a healthy, happy home. When the unexpected happens, such as a lost job or a sudden injury, you are still obligated to make your support payments until the court has modified your child support order. Ron Champoux can guide you through the proper legal procedures to modify your child support payments to accommodate your changing financial circumstances. Divorce: Through mediation or litigation, Ron Champoux can help you gain equitable results from your divorce, including fair distribution of assets, division of marital home, child support payments and child custody rights. Juvenile Delinquency and Dependency Proceedings: Ron Champoux is skilled at maneuvering through the complex laws of California to protect your parental rights from the interference of government authorities. Mediation: Mediation puts the decisions in your hands and can often provide more expedient, predictable results than trial. A skilled negotiator and mediating lawyer, Ron Champoux can help you obtain the most equitable settlement. Prenuptial Agreements: Ron Champoux anticipates the unexpected and drafts premarital agreements that protect both spouses' interests. A prenuptial agreement drafted by an experienced lawyer can alleviate some of the stress should you ever divorce. The Law Offices of Ronald E. Champoux were established in San Rafael, CA in 1997. 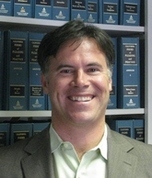 Ron is certified by the State Bar of California Board of Legal Specialization as a Certified Family Law Specialist. Ron's sterling reputation for integrity, dedicated client service and professional ethics has been affirmed by grateful clients and by the Marin County Bar Association, which has commended his voluntary legal service to the Bay Area community.